The Norway Deep Seating Collection takes the 70’s inspired turntable leg and brings it into this era. 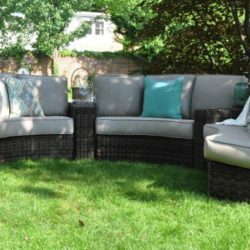 The soft grey tones and round weave wicker are the perfect neutral accent to complete the design. 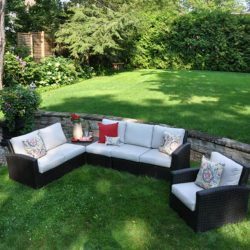 Ideal for a front porch, on the dock or on the back deck, this complete set offers the perfect solution for entertaining your friends and family. No compromise on comfort either, this set has a deep cushion and relaxed design.